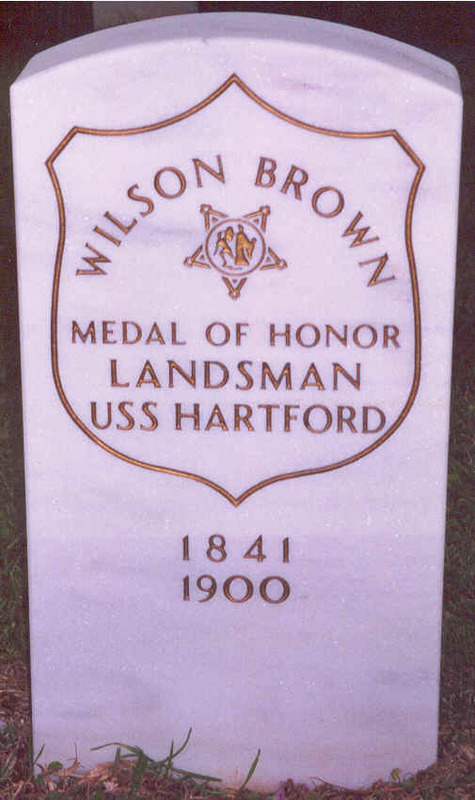 Landsman Wilson Brown is said to have been the only Mississippian, black or white, to be awarded the Medal of Honor during the Civil War. Citation: On board the flagship USS Hartford during the successful attacks against Fort Morgan, Rebel gunboats and the ram Tennessee in Mobile Bay 5 August 1864. 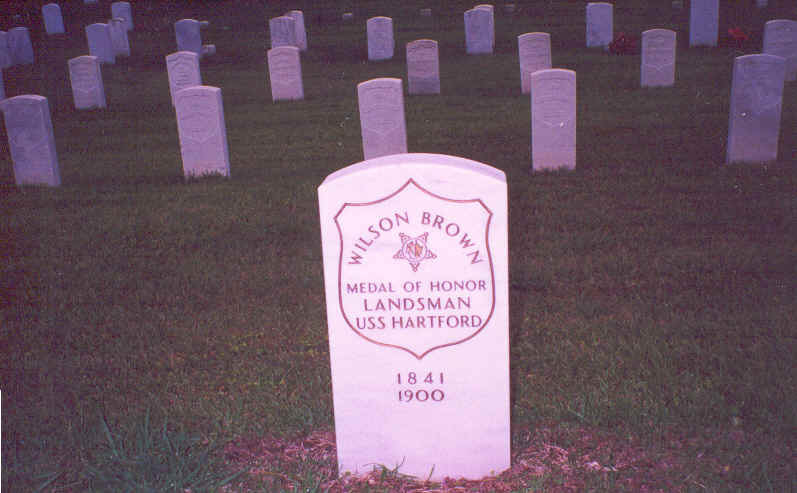 Knocked unconscious into the hold of the ship when an enemy shellburst fatally wounded a man on the ladder above him, Brown, upon regaining consciousness, promptly returned to the shell whip on the berth deck and zealously continued to perform his duties although 4 of the 6 men at this station had been either killed or wounded by the enemy's terrific fire.